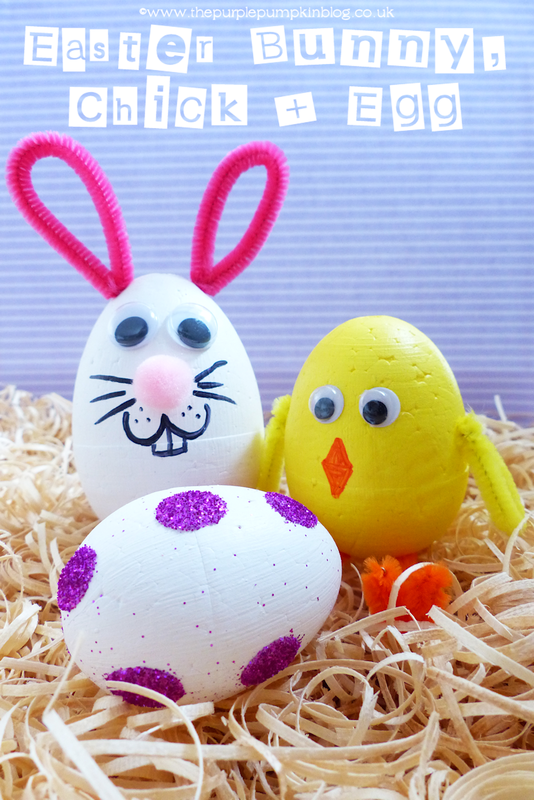 If you’re looking to do some crafting with the kids as Easter approaches, why not give these easy crafts a go? 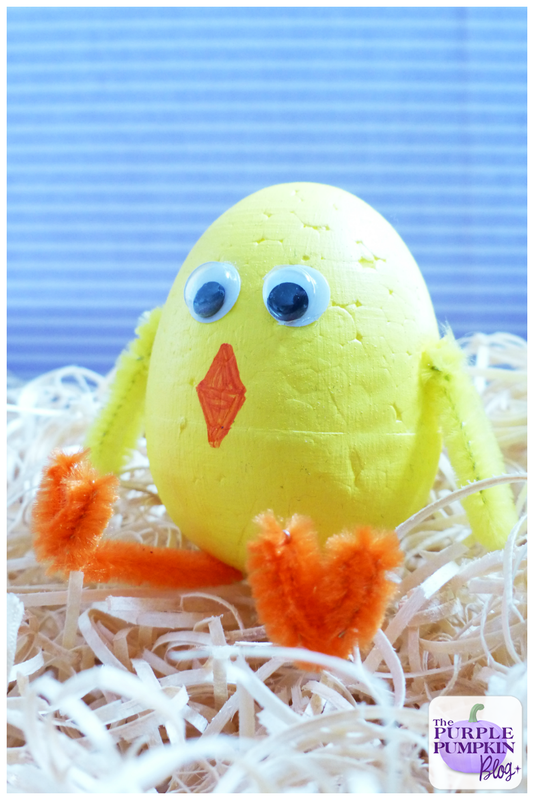 Using polystyrene eggs, pipe cleaners and a few other craft supplies, I’ve created an Easter Bunny, Chick + Egg – perfect for little hands to make too! 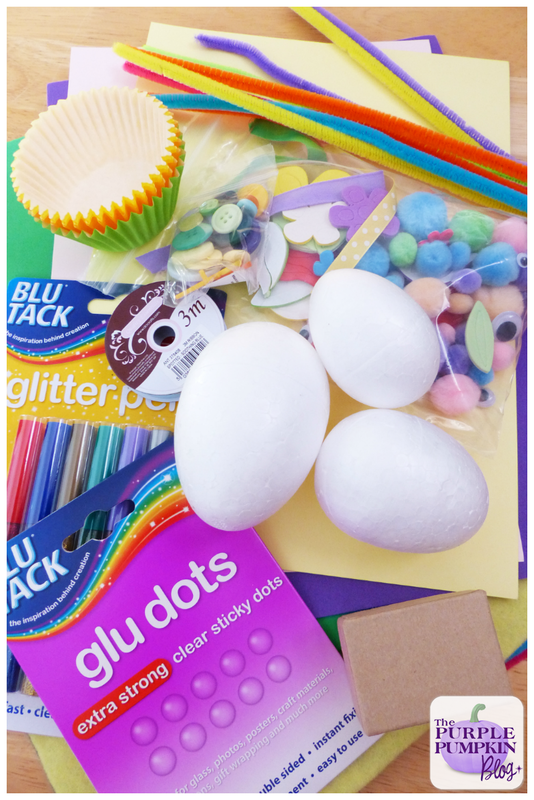 As part of the Bostik Family Craft Bloggers Network I was sent a box of craft supplies to create something for Easter. I do have a couple more crafts in the pipeline, so watch out for those in the next week or so! 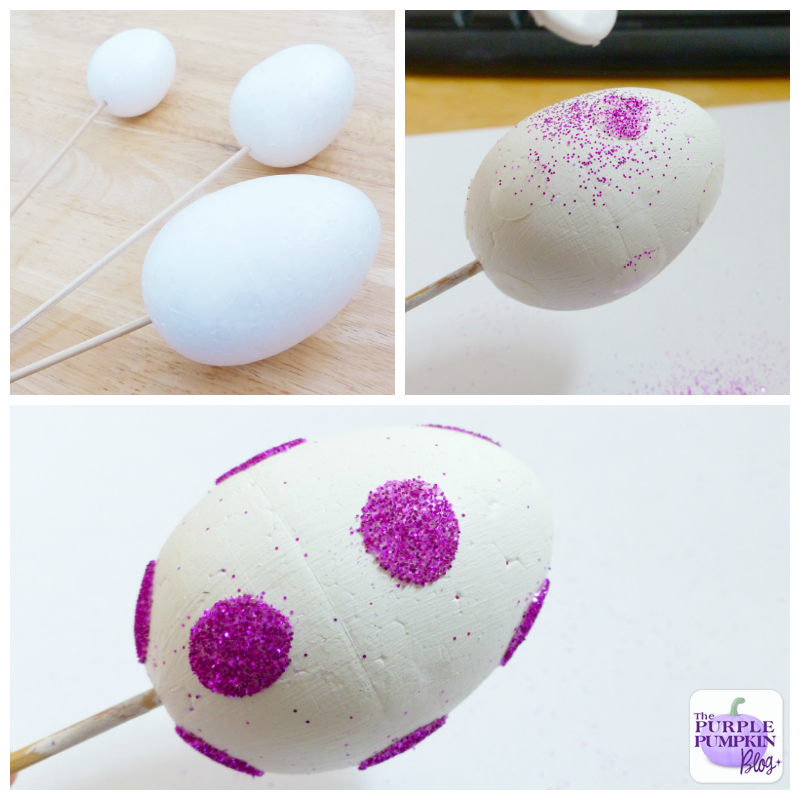 Stick a skewer into the base of each egg and paint two white and one yellow. Leave to dry for a few hours, then follow the instructions for each craft below. 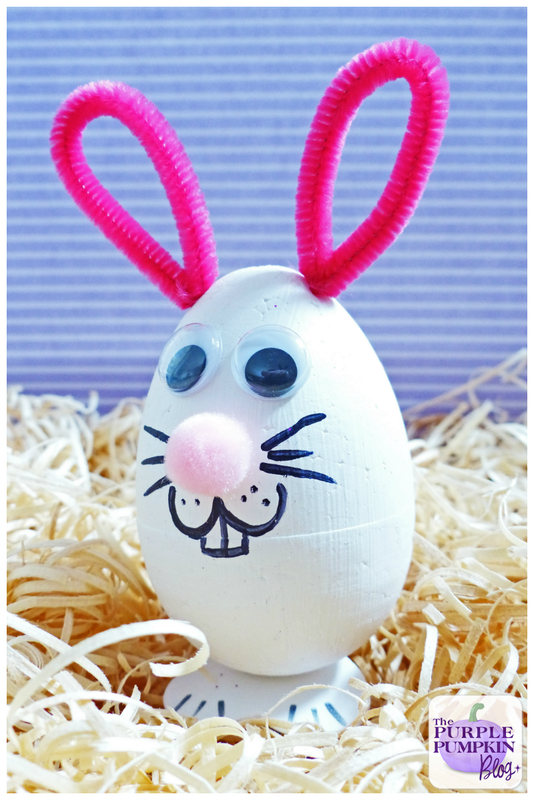 You will need one of your white painted polystyrene eggs.Using a Glu Dot, secure the pink pom pom on the front of the egg for the bunny’s nose. Draw on whiskers, a muzzle and teeth with a black marker pen. 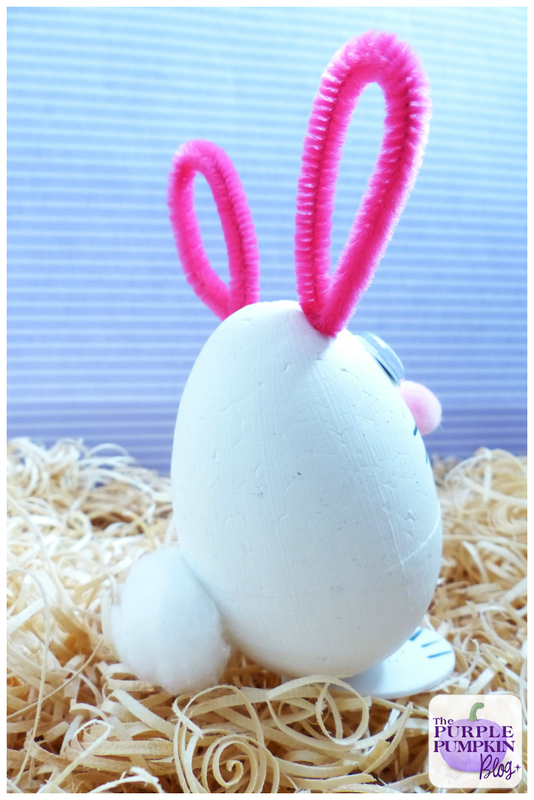 Add the googly eyesOn the back of the egg, secure the cotton wool ball for the bunny’s tail.Cut the pink pipe cleaner in half, bend each half into a bunny ear shape, and twist at the bottom to secure. 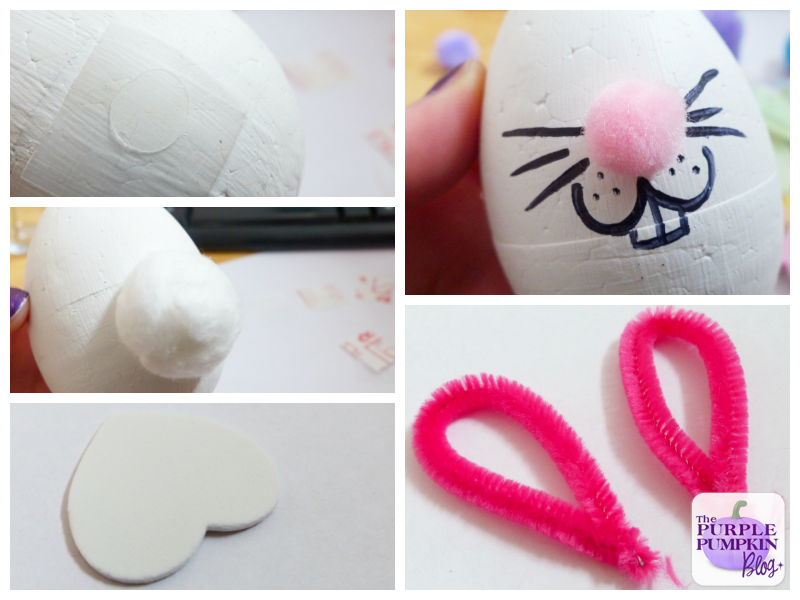 Poke holes in the top of the egg to insert the pipe cleaner ears into.To make your bunny feet, cut a heart shape from some white craft foam, draw on some toes with a marker. Secure the egg to the heart so that the bunny can stand up. Your Easter Bunny is all done! If you don’t have pom poms or googly eyes, you can always draw them on instead. If you haven’t got craft foam, use some strong white card. You will need your yellow painted polystyrene egg. Stick googly eyes to the front of the egg and then draw on a beak with an orange marker pen. Create the chick’s legs by cutting the orange pipecleaner into three. Form two toes at one end, twist to secure. Create the chick’s wings by cutting the yellow pipecleaner into four. Bend over to form a teardrop shape, twist at the ends to secure. 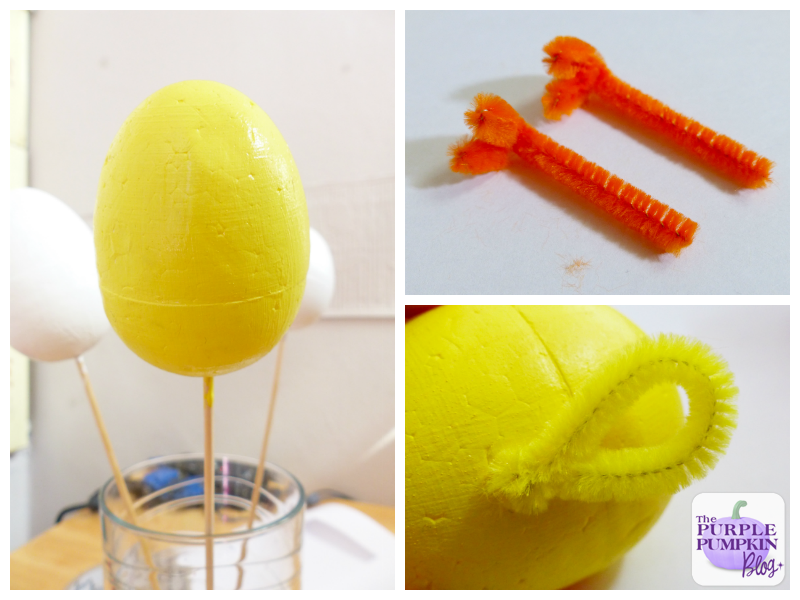 Poke holes with the wooden skewer on each side of the egg to insert the pipecleaner wings. Poke holes in the bottom of the egg to insert the pipecleaner legs. Bend so that the chick is sitting down. Your Easter Chick is all done! If you don’t have pipe cleaners, you could just draw on wings, or use some yellow card and stick onto the sides with Glu Dots. For the legs, you could do similar with craft foam or card as you did for the bunny above. Eyes can be drawn on with marker if you don’t have googly eyes. You will need the final white egg. Place about 12 glue dots around the egg in any pattern you like. Sprinkle or dip into glitter and shake off the excess. You may need to brush some away if it sticks to the painted egg surface. Your glitter dot egg is done! 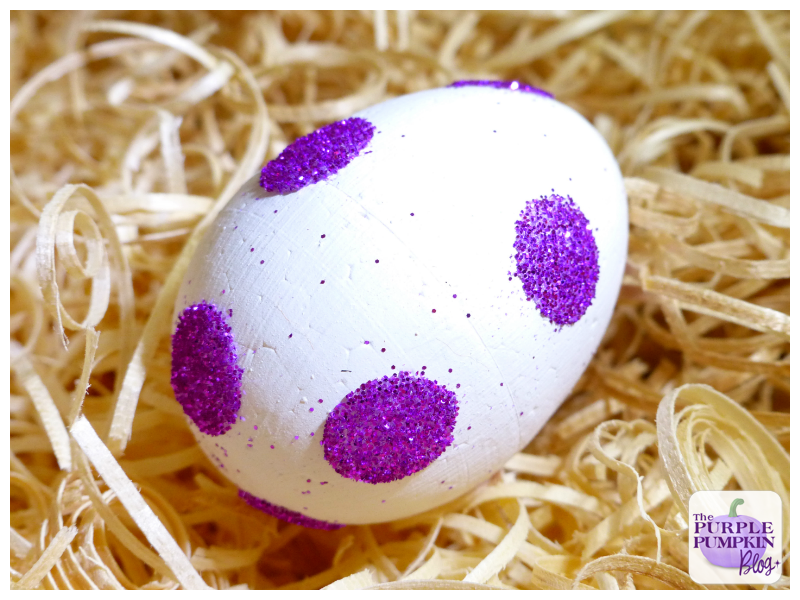 Make a basket full of these glitter dot eggs in different colours. If you don’t have glitter, just drawn dots on with coloured markers. See how simple and quick these are to make! It’s the painting of the eggs that take the time, but acrylic paint does dry quickly, so you shouldn’t be waiting too long. Why not pre-paint a bunch of these polystyrene eggs and then put them in a basket with a supply of Glu Dots, glitter, marker pens, pom poms, pipe cleaners, craft foam and googly eyes and let the kids craft and create their hearts out! Disclosure: I am part of the Bostik Family Craft Bloggers Network and was sent these supplies to craft with and write this post. Check out my other Bostik Family Crafts. love the purple one! also, this has made me realise we never did any form of easter/egg craft when i was little! I love the glitter dot egg, have pinned! So cute, and I must invest in some glue dots, I hear they are the one thing that make Pom poms stick properly! They are a really great craft product to have in your stash! I have so many packets of them as use them a lot! :D I didn’t have any white pipecleaners for the ears! These are fab – simple yet effective. Will share! Hope you make them – they’re really fun to make!